No feeling in particular. I was really nervous in the last Up and Downs but this time, I became too good to be feeling elated. I was certain that I would advance with four or five wins. Others have told me already. That I should work towards the Nestea award. I will try to but I don't know what is going to happen once HotS is released. I definitely want to but it won't be easy. How did you prepare for today's matches? I laddered, then laddered and then laddered some more. The other two Zergs were great players so I thought hard about how to best them in ZvZ and came up with somewhat of a solution. There are a lot of Zergs on the ladder. I think 8 out 10 games were ZvZs. Are you happy with your performance today? Almost all my games went as planned. I did make minor mistakes but I have to say I am 80% pleased. Not only is this the first GSL season of the year, more importantly, it is also the last season for Wings of LIberty. Any way you look at it, this is my chance to do well and receive extra attention so I badly want to win the championship. A champion also goes on a high so I'm sure I'll do well in HotS as well if I win. You got me. I have my doubts (laugh). I feel like I will regret it if I fail to finish this era on a good note. I tried it during the invitational. The early game is still very similar and the differences come only after lair so I think I am pretty set for the expansion as I am. You did not receive an award (Best of each race award) at Blizzard Cup last month. It's because you won too early in the year so does that disappoint you? I was under the impression I would win. I was so sure right until the award was given out (laugh). I didn't know the points system well enough. I was bit miffed when Sniper got the award instead. I was really hoping to win since it's the best of each race. Still, I take solace in the fact that it's my team mate who beat me. I want to thank all the players who helped with practice. I want to thank the director and my girlfriend. I also want to thank my fans. Lastly, I want to thank the sponsors Lotte Chilsung, Razer as well as our partners MYM and Wa yi Spiders. I will work hard to become the last champion of Wings of Liberty. You are back in Code S after about a year. How do you feel? Happy. Can't describe it any other way. This was a group of Zerg's best. How did you prepare? I played on ladder like usual. I did ask a few close friends for practice. It was but these things happen and I did my best. [b]You lost to said team mate in your first match. You were very behind on upgardes and lost your engagements as a result. First played very well, but I should have been better prepared. I did have something planned but I couldn't execute it. Don't we all? My goal is to get there one step at a time. I practised hard but I guess I felt a bit lost at times (laugh). In official matches, I could never match my real skill that I show in practice. I believed in myself that I would one day overcome this hurdle. Now that you are finally back, Wings of Liberty is ending! I do want to finish on a good note but I'm not too hung up on the fact that is the last season for WoL. I'll just do my best now that I am back in Code S. I plan on showing great games so I hope the maps allow that to happen. Not yet. I want to focus on the tournament at hand .I don't think it'll be too late to start once it is released. Lately, you play with your keyboard at quite an angle. Is there a special reason? Not really. I just like that position (laugh). First of all, I want to thank the director and his wife. I want to commend First for his hard work. There were many people who helped me like it was their own match. I want to take this opportunity to thank them. There's some fun play that I haven't been able to show yet. They come up often in practice so I'll try my best to show them in official games also. T/N: I am going to use the term 'director' from now on. In Korea, the person known as coach/Head coach to the English speakers is called director. The people just below the director are called coaches (as in Korean pronunciation of the English word coach). It's weird but I like being accurate. It was nice to hear from DRG again. 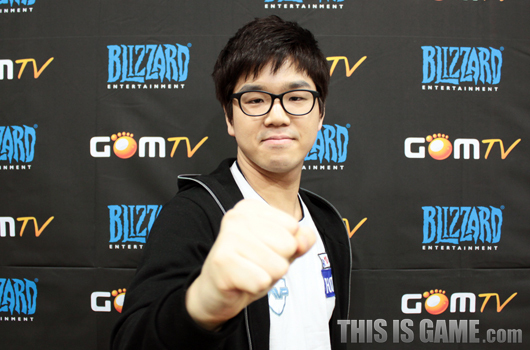 Happy to see DRG making a return for 2013. He's pretty gleeful on twitter, as well. about time he got out of his "depression"
Looking forward to both DRG's and Losira's performances in Code S.
80% ZvZ on ladder? Are a lot of Korea pros going to switch to Z in HoTS? Losira!!!!! So unexpected, but definitely awesome to have him back. And the Wild Cards group is more and more shaping itself to be a group of death. So happy Losira is back in Code S! It would be awesome to see him pull off a championship win after being gone for so long! Aww yes. Losira's back and more motivated than ever! Code S just got a lot better with both DRG and Losira making it through. Happy to see Losira back. 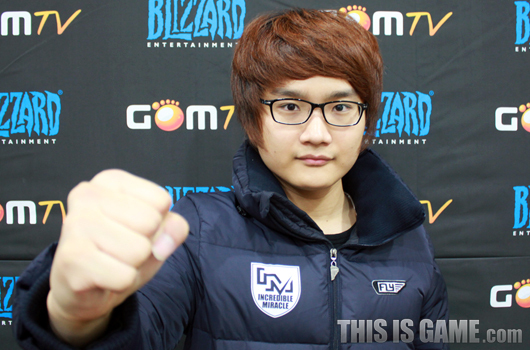 LG-IM looking strong in 2013 already!